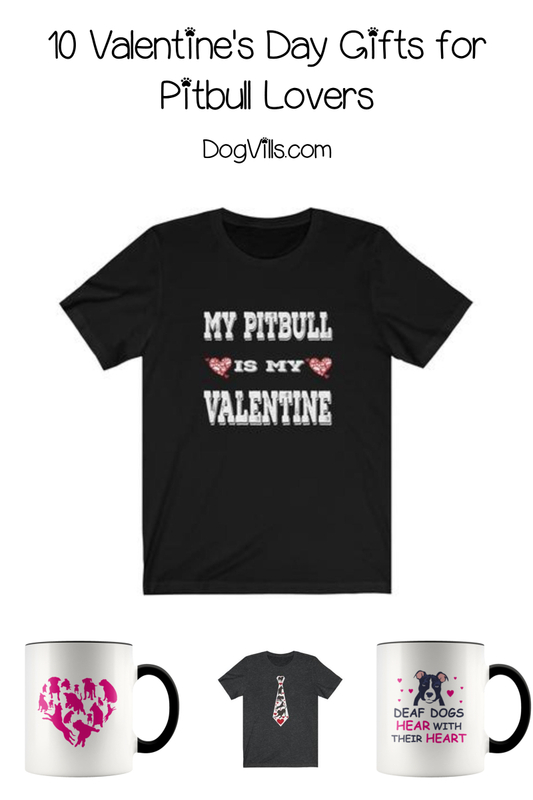 Get ready to say “awww,” you’re going to love these adorable Valentine’s Day gifts for pitbull lovers! They were created just for you by fellow pit parents! 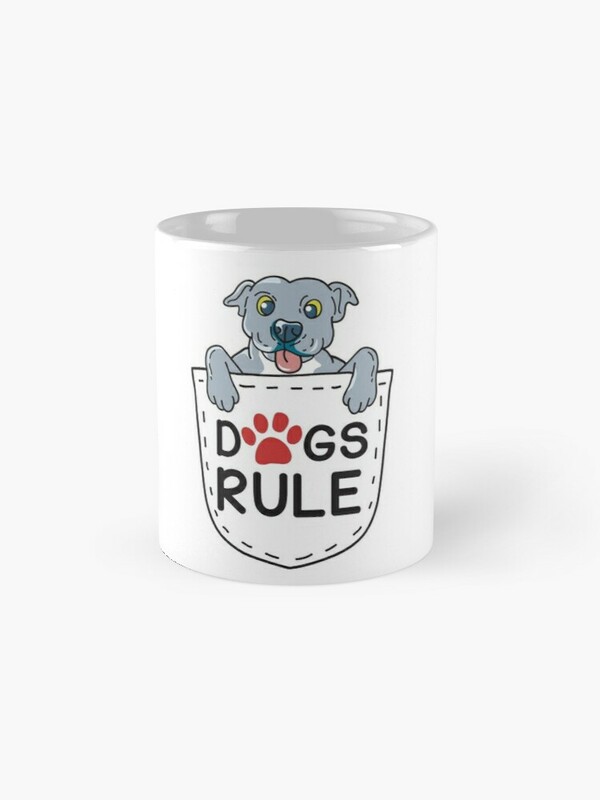 Whether you’re buying a gift for your favorite dog mom or just a little something special for yourself, you can’t go wrong with these mugs and tees! Find gifts for all your favorite pet lovers in our new shop: Cat Dog Gifts! This is a super cute blue nose pitbull in a pocket, isn’t it? This one says “Dogs Rule,” and it’s just so true! 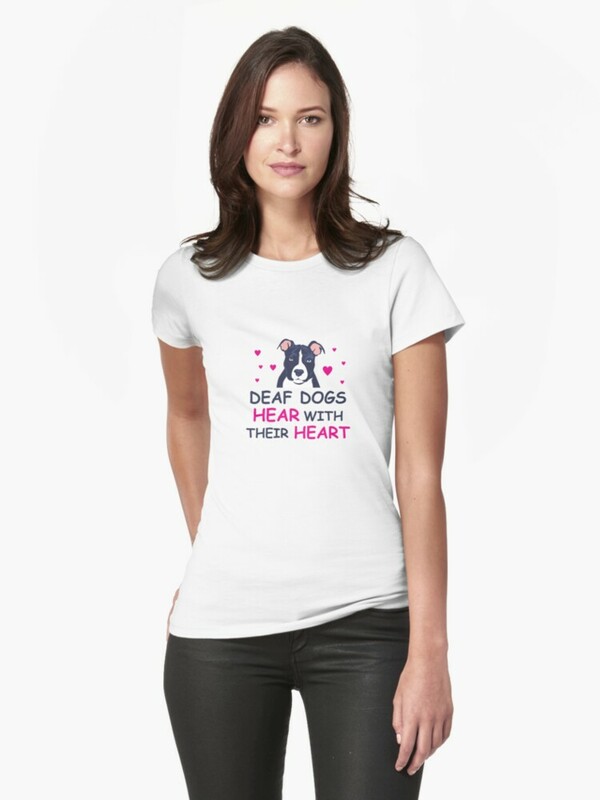 This pitbull lovers’ shirt is perfect for parents of deaf dogs! If you love it, check out our other deaf dogs gift ideas! 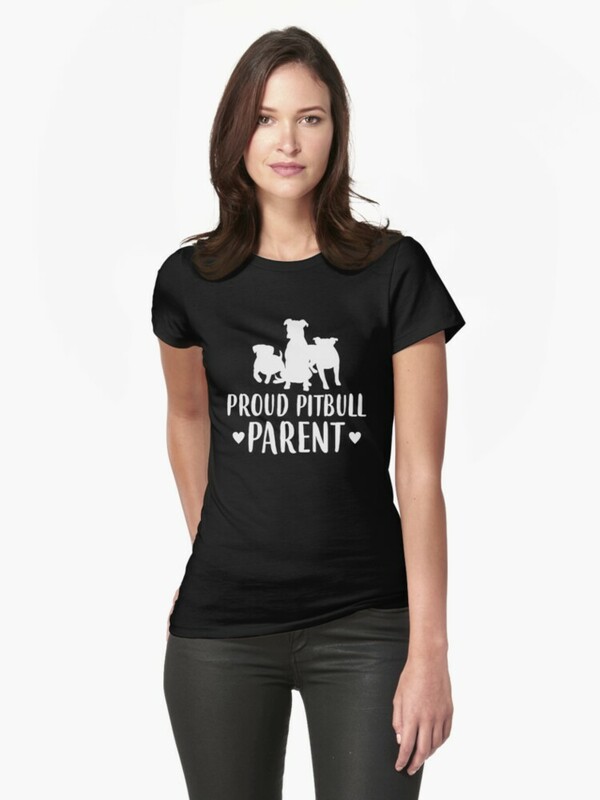 This shirt says, I’m a proud pit parent and I want to tell the world!” Okay, so it just says, “Proud Pitbull Parent,” but the sentiment is there! This one is available on Redbubble! Don’t miss all our great dog lovers’ gift ideas while you’re visiting our Redbubble shop! 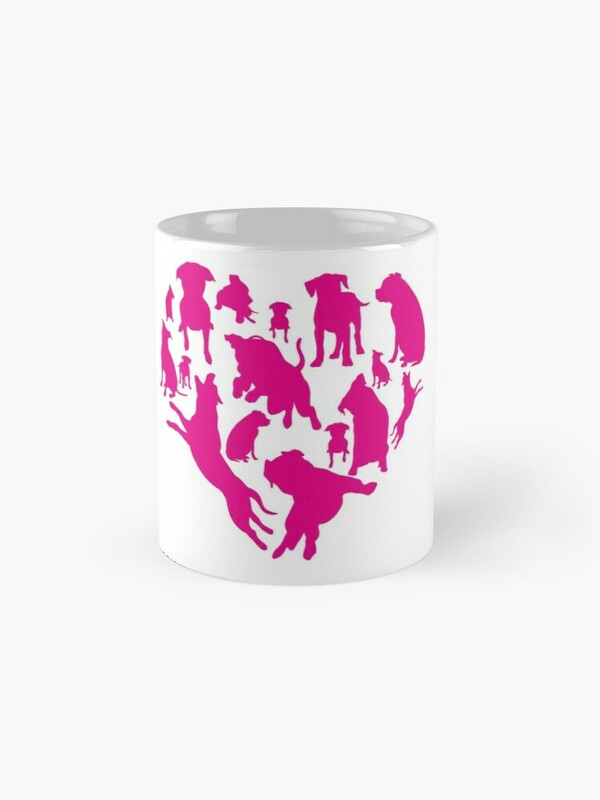 Nothing says Valentines Day gift ideas for pitbull lovers like a heart made up of pitties! Another wonderful idea for parents of pitbulls, this is me pretty much every weekend! Need the perfect gift for a Christian woman? 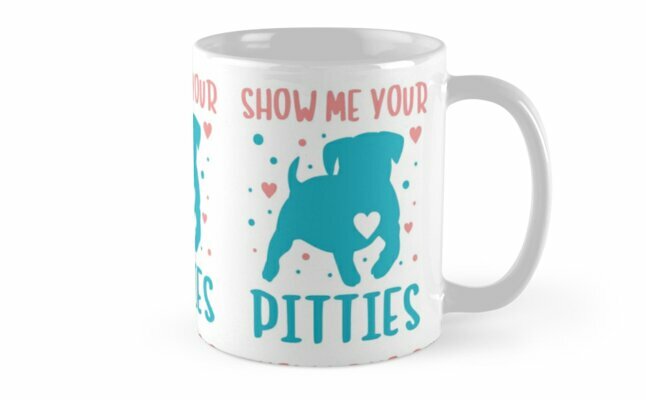 This mug is super cute and really says it all! You don’t have to be in a relationship to have a Valentine, especially when you have a pitbull! This t-shirt says it all and is the perfect pitbull lover Valentine’s Day gift to give. Such a funny, yet adorable mug at the same time. This one is hilarious, and perfect for pit moms and dads! Having a hard time deciding on just one? Remember, if you buy from our shop, you can free shipping on order $50 and up! Grab yourself a couple of them! 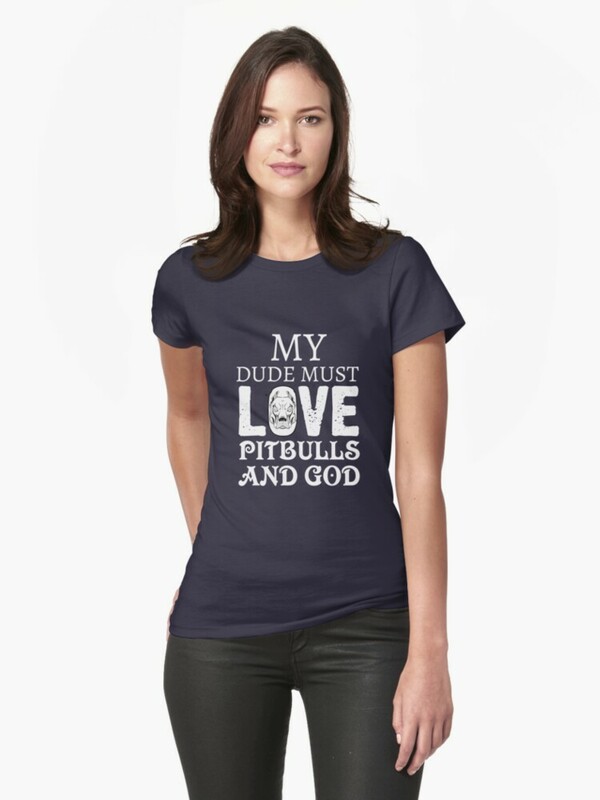 Don’t forget to check out all the other fun pitbull lover gift ideas too! Which of these 10 Valentine’s Day gifts for pitbull lovers is your favorite? Comment below!